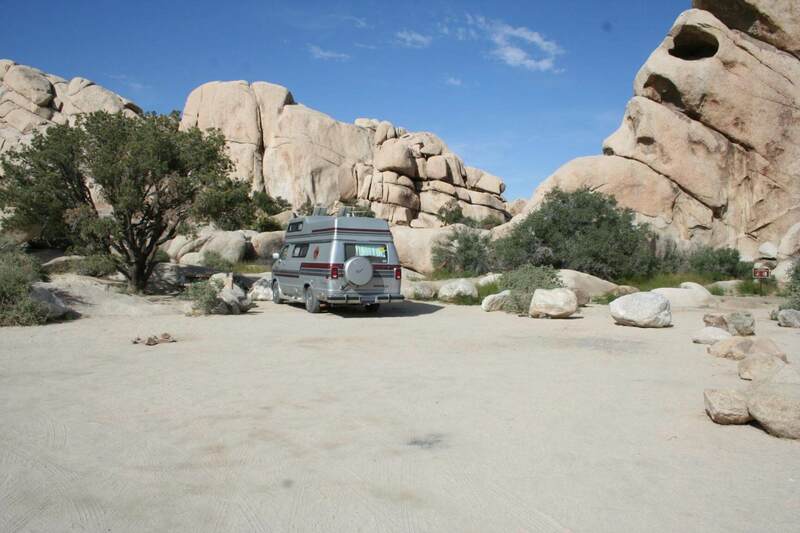 Joshua Tree National Park's Best Campsites - Photos of the 30 best! 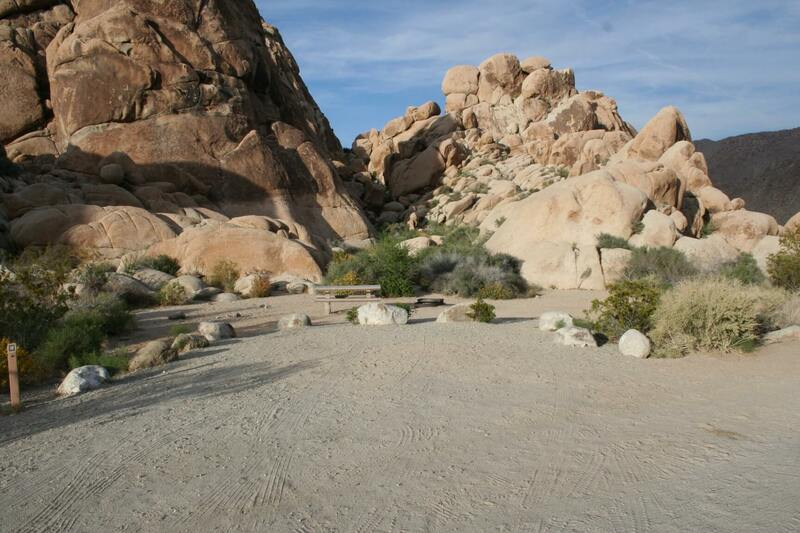 If you’re looking for one of Joshua Tree National Park’s best campsites – you’re in luck! 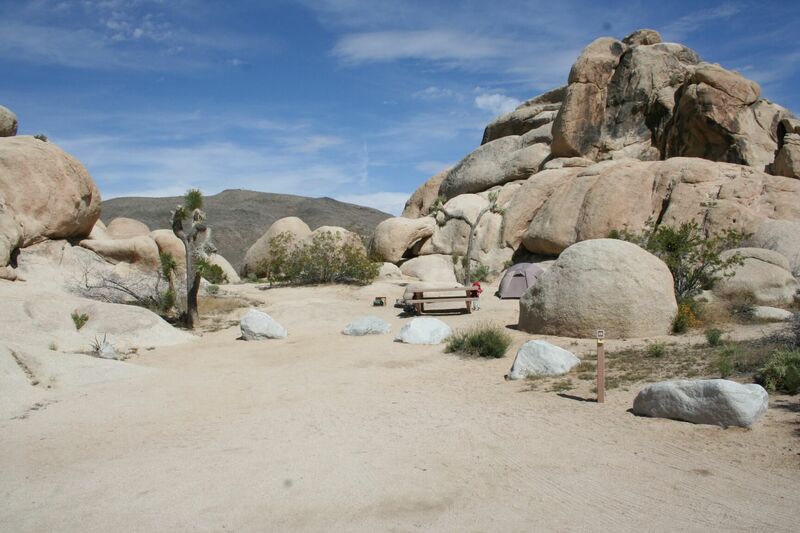 We’ve put together a list of our favorite 30 (out of 500) campsites in Joshua Tree. It was a challenge to pick our 30 favorites – because there are so many good ones, but you can always click on the links to see photos of all the other campsites in the particular campground. Be forewarned though, the campground name/campsite # for the last photo listed was not mentioned because it is our most favorite in all the Park. 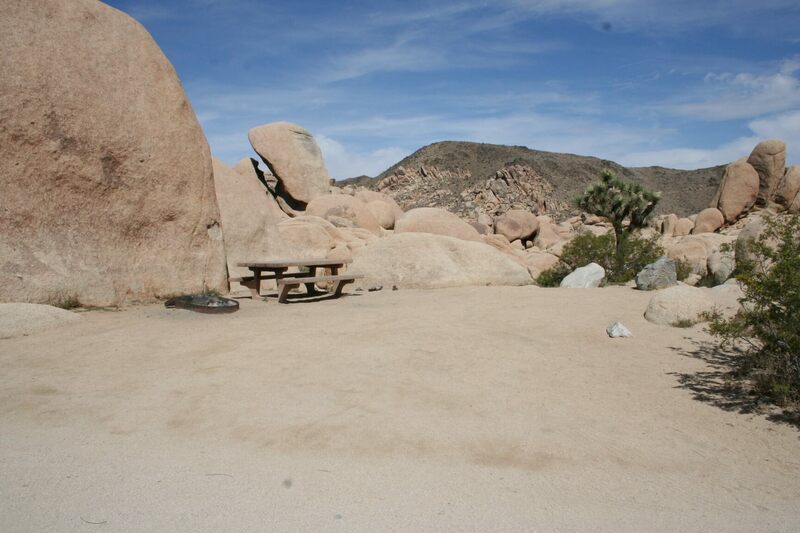 For now, it is simple known as Joshua Tree National Park’s Best Secret Campsite Ever! If you think you know the campground name and campsite #, send us an email with your answer. If correct, we will enter your name in a drawing for a CampsitePhotos.com t-shirt! 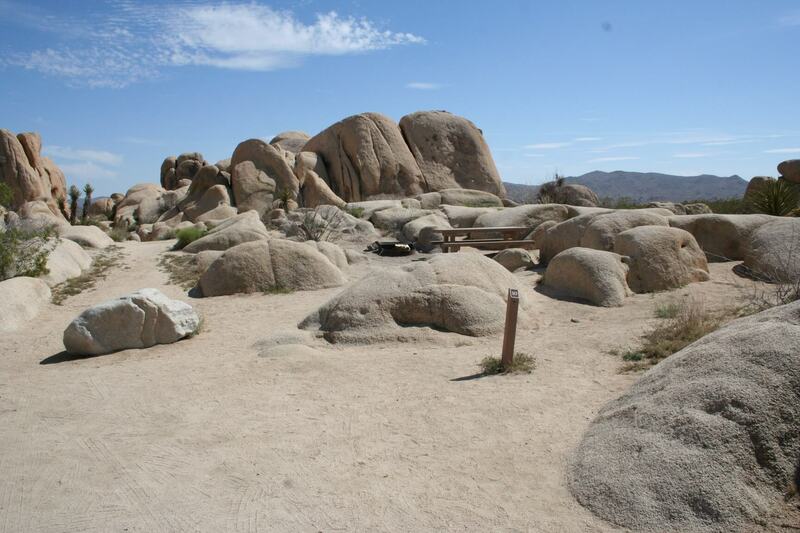 For at least 5,000 years people have been camping (and living) in the area we now know as Joshua Tree National Park. The first group of people to live in the area was the Pinto Culture, followed by the Serrano, Chemehuevi and Cahuilla. Cattlemen, miners and homesteaders also lived and camped in the area starting in the early 1800s. 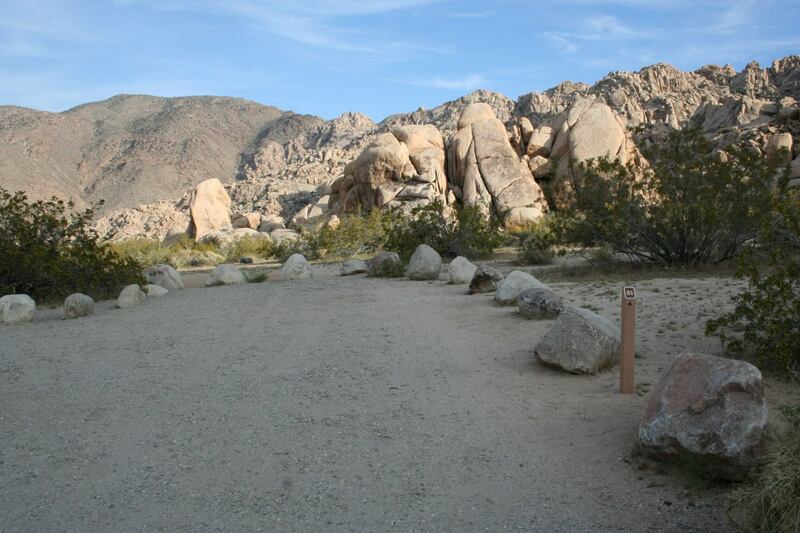 Today, Joshua Tree National Park has 8 campgrounds, with approximately 500 campsites. 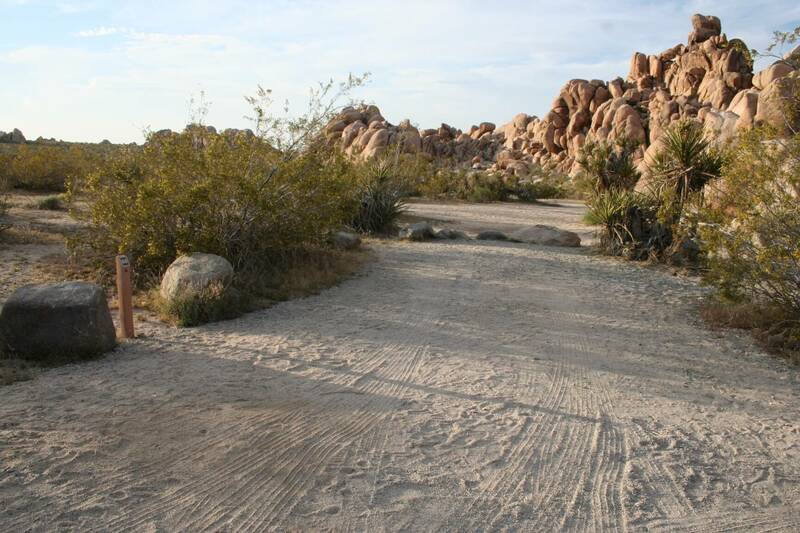 Black Rock, Cottonwood, Indian Cove, Jumbo Rocks and Sheep Pass campgrounds take reservations. Belle, Hidden Valley, Ryan and White Tank are first-come, first-served. 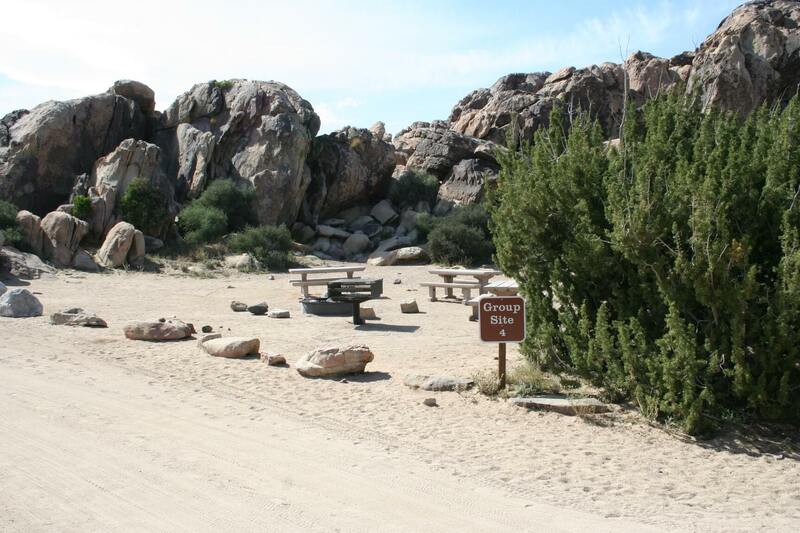 Group camping is allowed at Cottonwood, Indian Cove and Sheep Pass campgrounds. 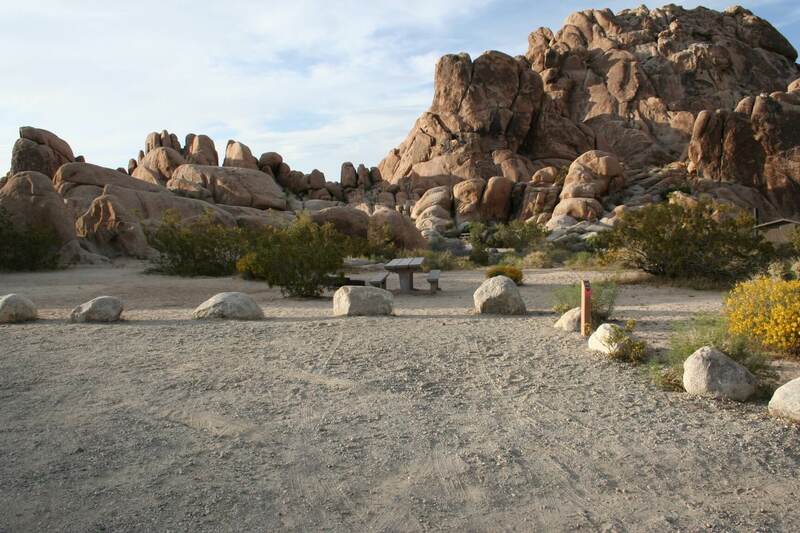 The 30 campsites that made our Joshua Tree National Park “best list” were chosen primarily based on views, privacy, as well as the layout and functionality of the campsite. Size was also a consideration, but not super important. 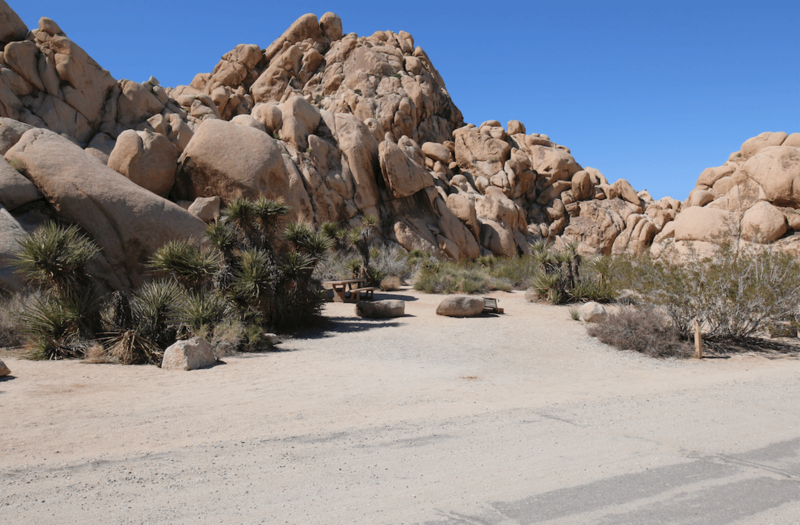 So without further adieu, and in no particular order (other that going alphabetically with the campgrounds), here is our list of Joshua Tree National Park’s best campsites. 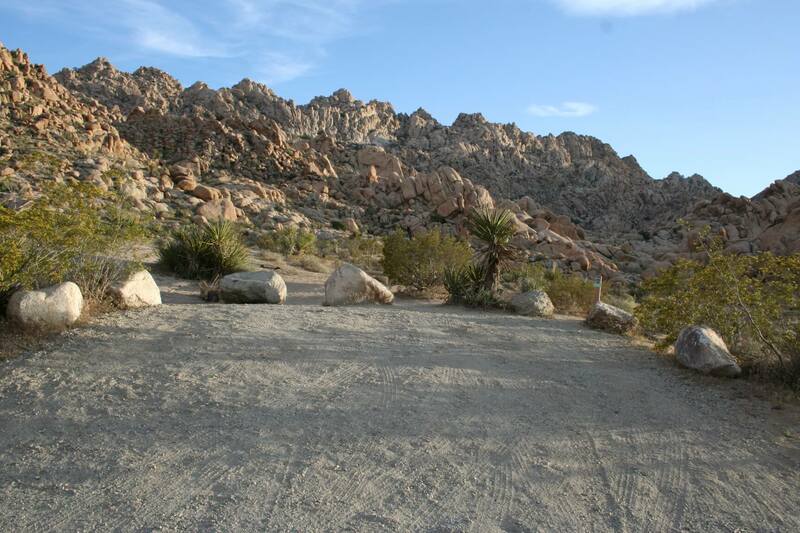 Belle campground is located in the north/central part of the Park and a bit closer to Twentynine Palms. 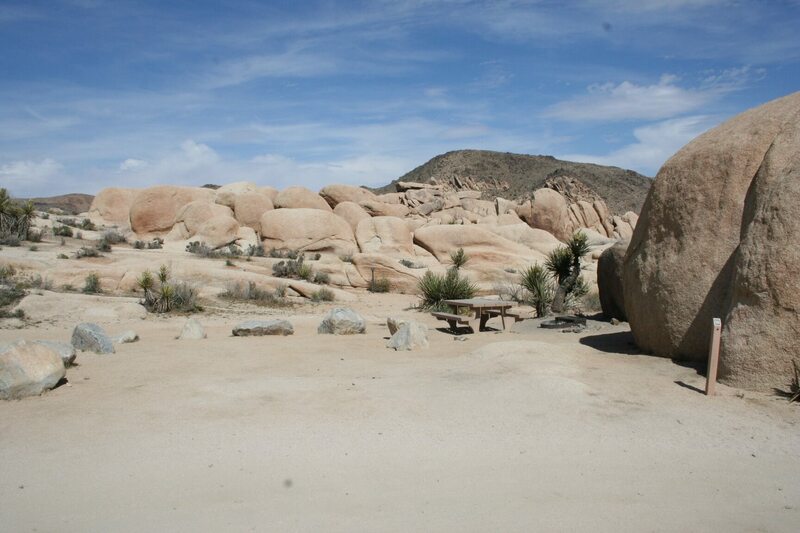 The quiet campground has 20 campsites that are set among large boulders. It’s a good basecamp for rock climbers. The campground has vault toilets, but no water (bring your own). 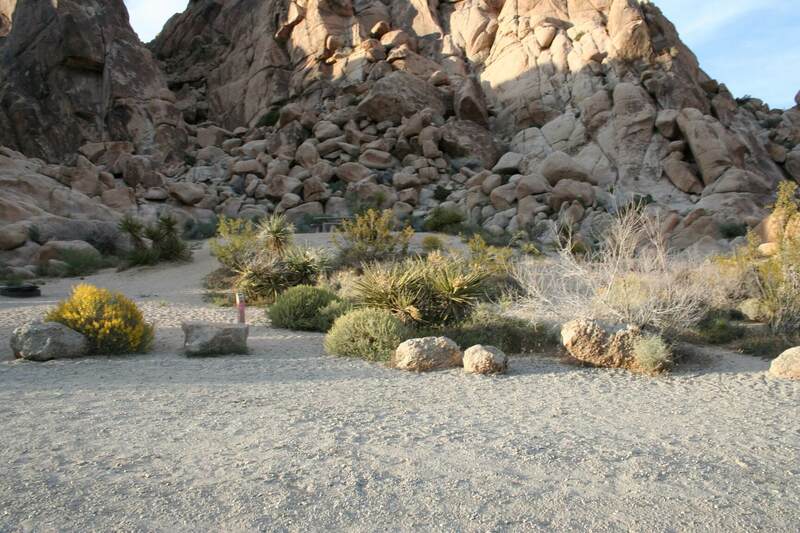 Hidden Valley had a handful of sites that made or Joshua Tree National Park’s best campsites list. 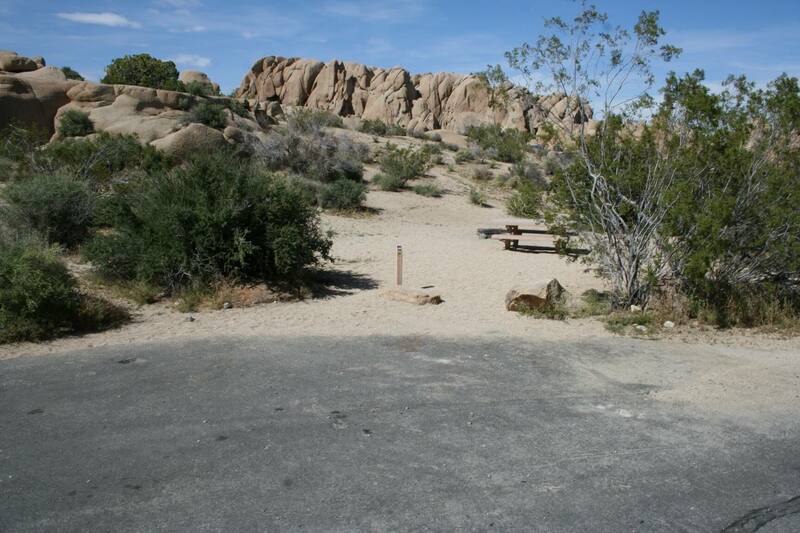 The campground is close the Wonderland of Rocks and has 44 campsites for tents, trailers and RVs. 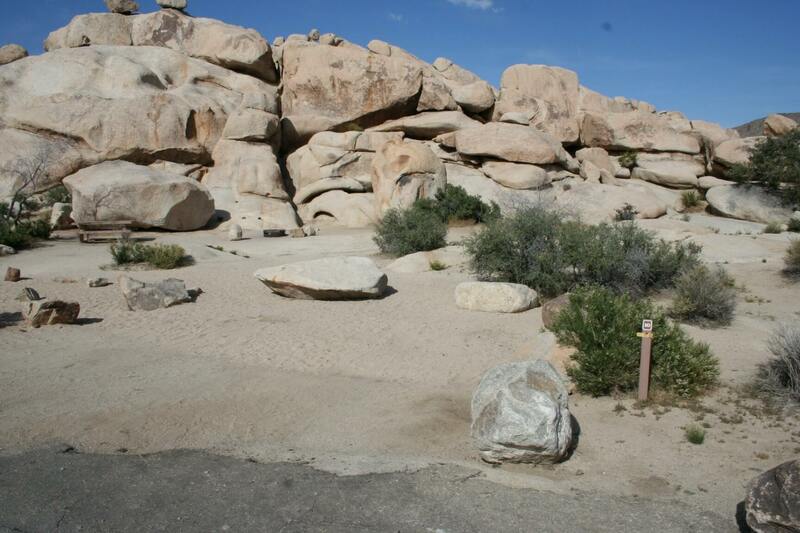 There’s quite a few large sites that offer nice privacy and almost all sites have spectacular large boulders that will watch over your site when you’re off rock climbing, hiking and exploring. Vault toilets provided / no water. Indian Cove campground has 91 campsites for tents, trailers and RVs. 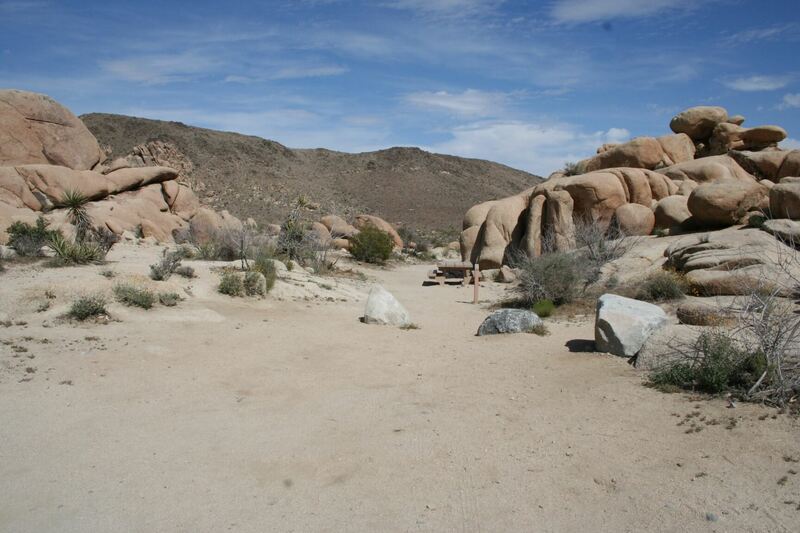 There are several large sites that have great privacy and spectacular views of the boulders and surrounding hills. Indian Cove is also close to many rock climbing routes and nature trails. Vault toilets / no water. 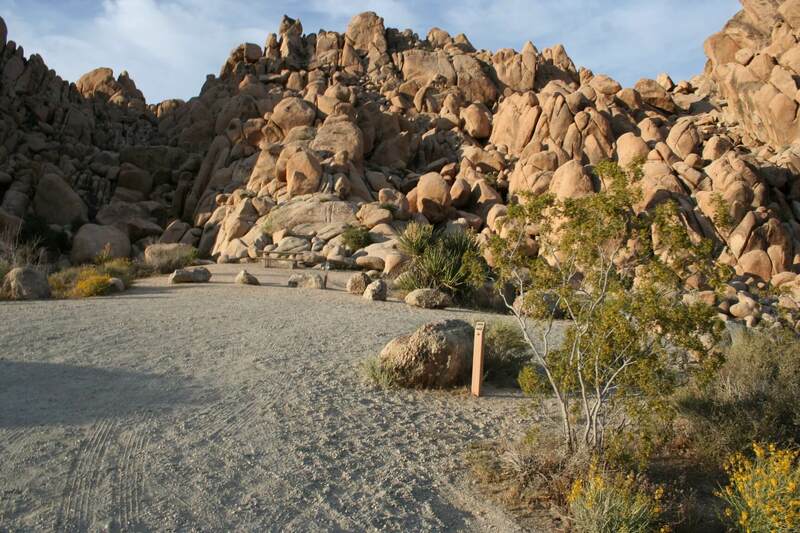 Jumbo Rocks campground is generally the most popular in Joshua Tree National park and has 124 campsites for tents, trailers and RVs. A majority of the campsites are rather small and close together – best for tents. There are a few sites that will accommodate large RVs. 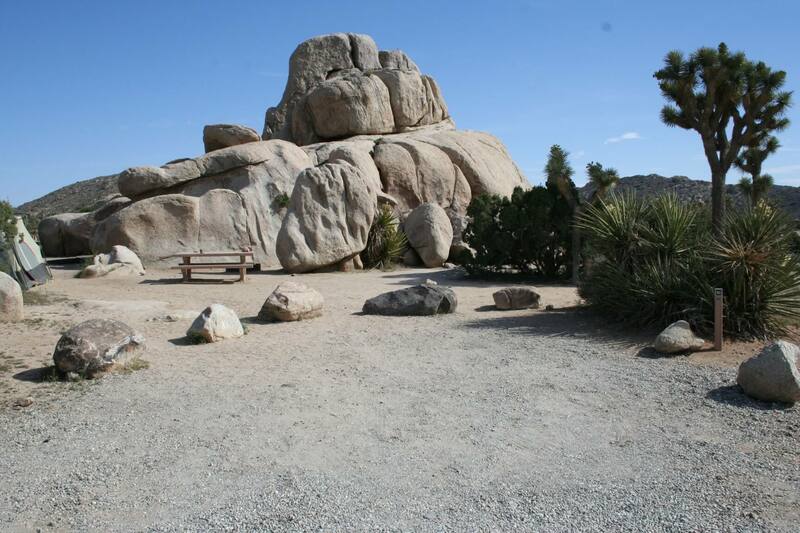 The campground is popular because of its proximity to the many large granite boulders you can climb on and there’s also a few nice nature trails at the campground. No water, but there are delightful vault toilets at the campground. 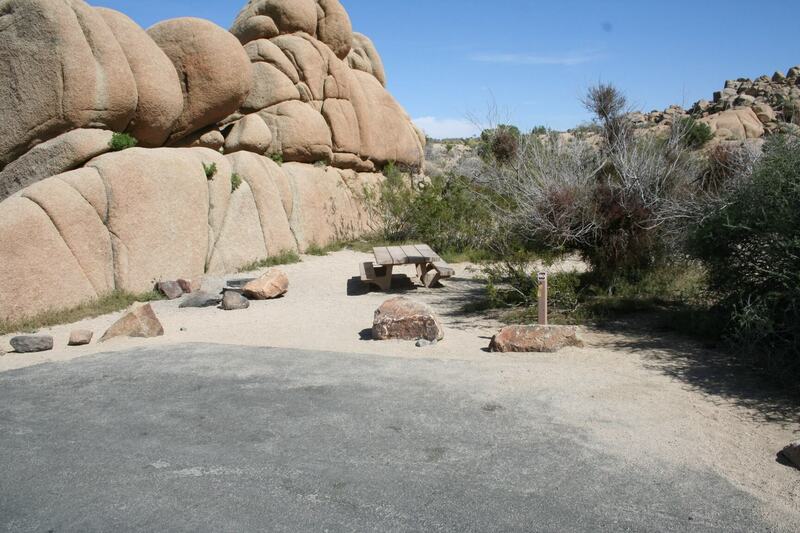 Ryan campground is located in a secluded area of the Park and offers 31 campsites offering great views of large granite boulders and the surrounding area. 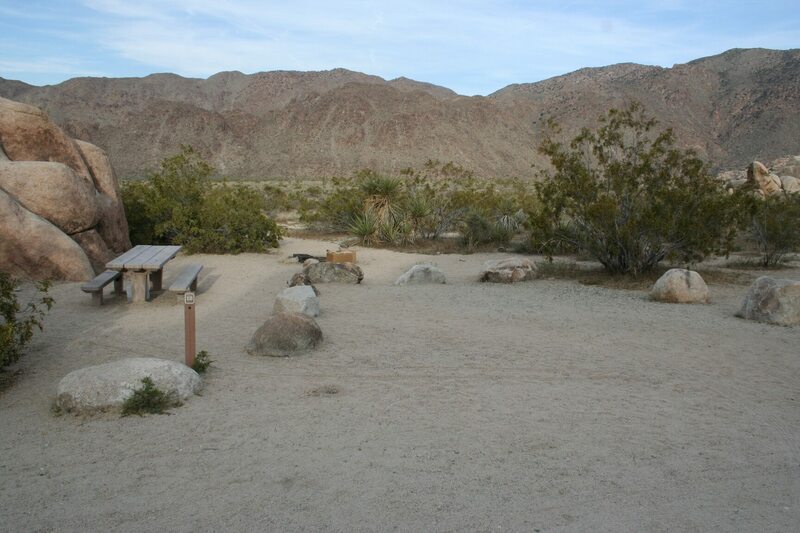 The campground is a quiet and peaceful place, offering spectacular stargazing, hiking and rock climbing. The trailhead up to Ryan Mountain (5,740) is located at the campground. Vault toilets / no water. 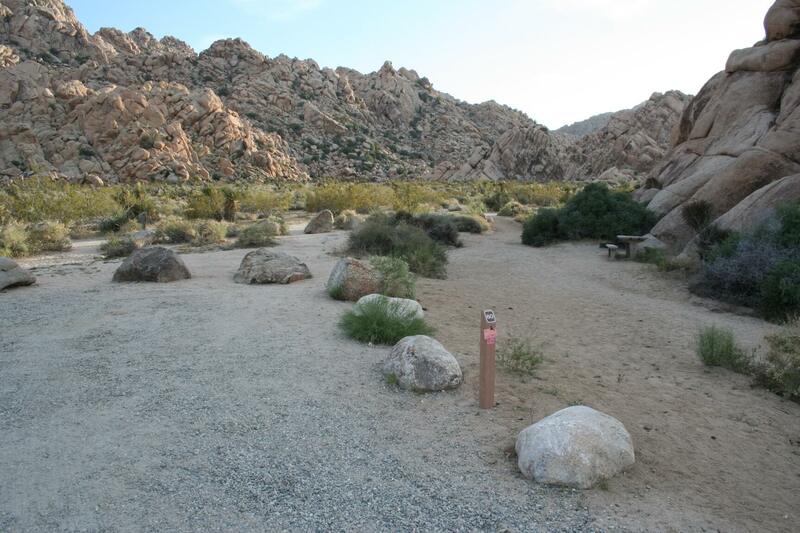 Sheep Pass campground offers 6 group-only campsites. It’s a primitive campground and has no water. There are vault toilets and each site has campsite tables, fire rings and grills. There are many hiking trails and popular rock climbing routes nearby. 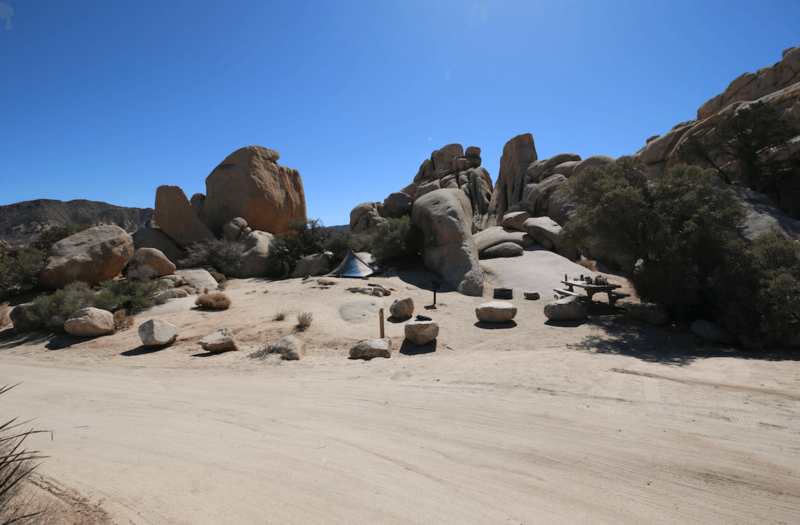 White Tank campground is located in the center of Joshua Tree National Park and has 15 campsites that will accommodate tents, trailers and RVs (up to 25 feet). 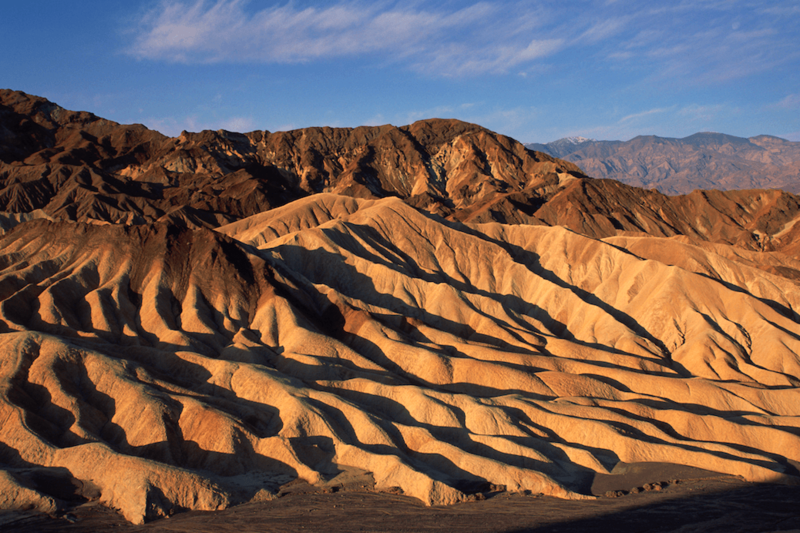 It tends to have the fewest visitors even though its scenery and views rival any of the other campgrounds in the Park. Vault toilets/ no water. 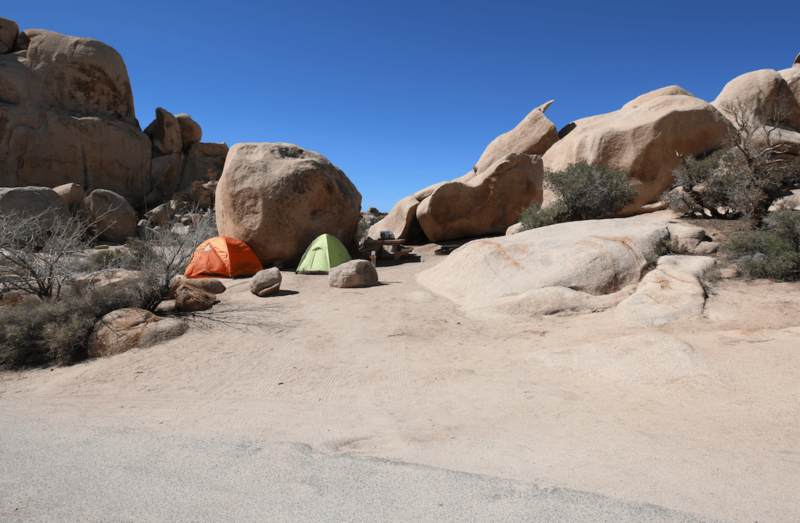 Joshua Tree National Park’s Best Secret Campsite Ever! 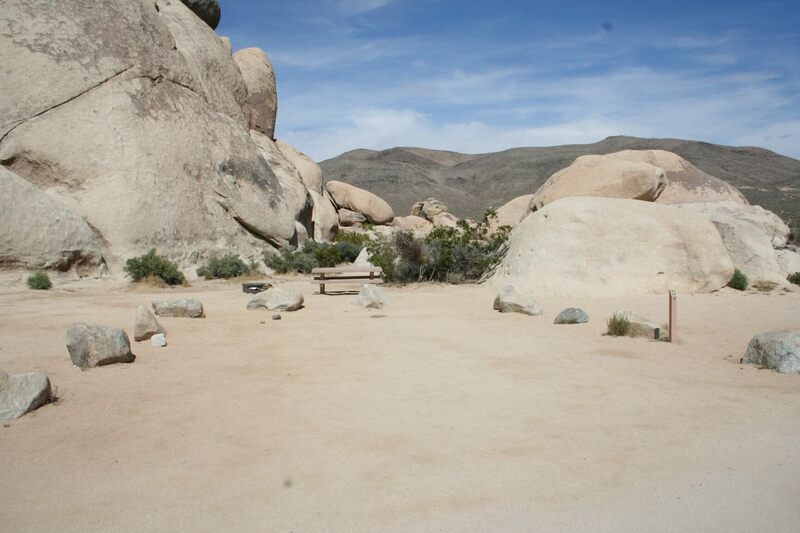 And last, but not least our most favorite campsite in Joshua Tree National Park is pictured below. Unfortunately, we like it so much we’re going to keep the campground and campsite # a secret. It’s big, private, has incredible views, awesome rocks to play on and it even has an oak tree that provides some shade for your campsite table. Even though we’re keeping its identity a secret, the photo (campground/campsite #) is on our site if you care to do some searching. If you find it – mums the word ;-). If you think you know the campsite – send us an email with your answer (campground name/campsite #) and if correct you will be entered in a drawing to win a CampsitePhotos t-shirt! Cottonwood and Black Rock Canyon are two other campgrounds in the Park. 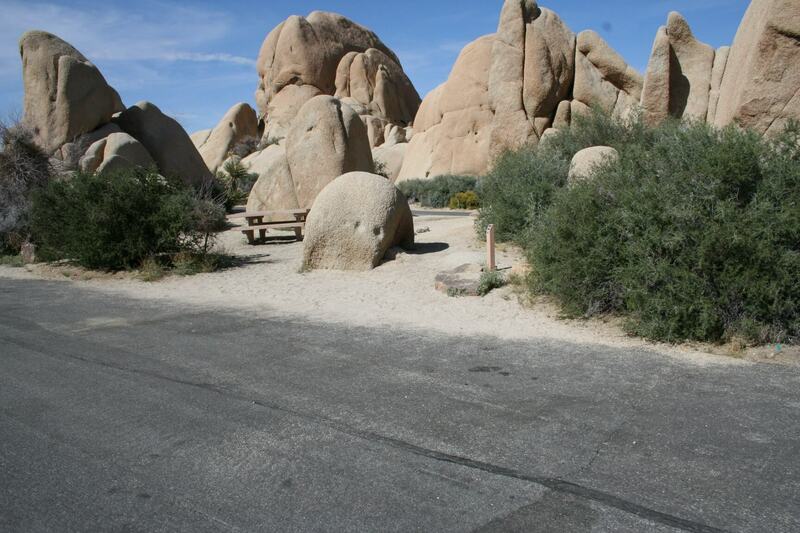 Neither had any campsites that made our list of Joshua Tree National Park’s best campsites, but both offer good camping options at the Park. 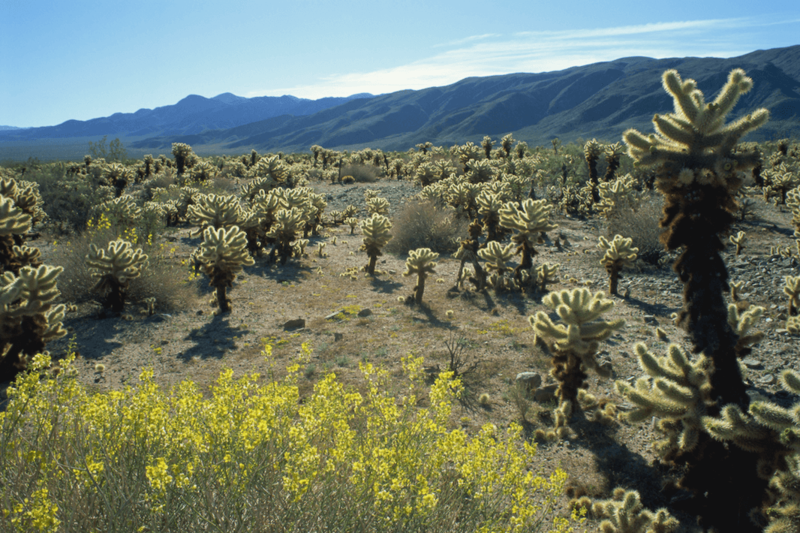 Joshua Tree National Park is quite large (792,510 acres) and ranges from 536 feet in elevation in the park’s southeast corner to 5,814 feet atop of Quail Mountain. 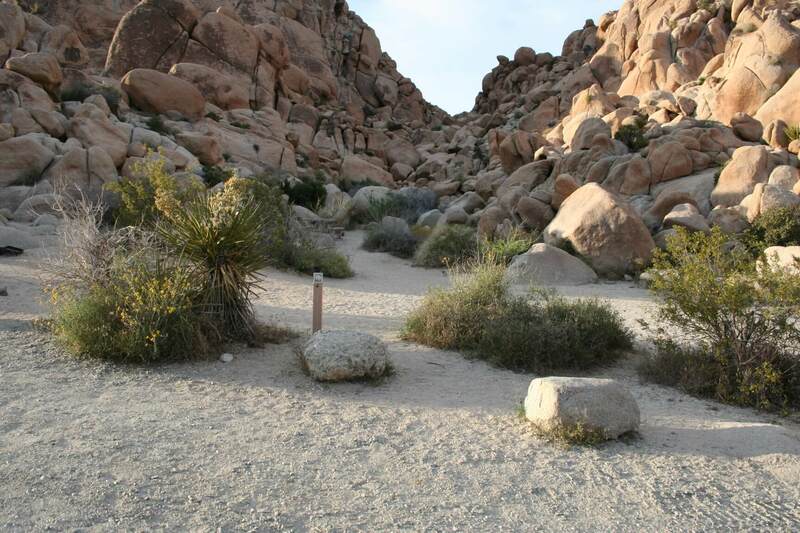 The area is considered high-desert wilderness and can be a bit harsh and unforgiving so make sure you mind the weather (especially the heat). There are 4 visitor centers, miles of hiking trails, lots of historic sites and no cell phone service. 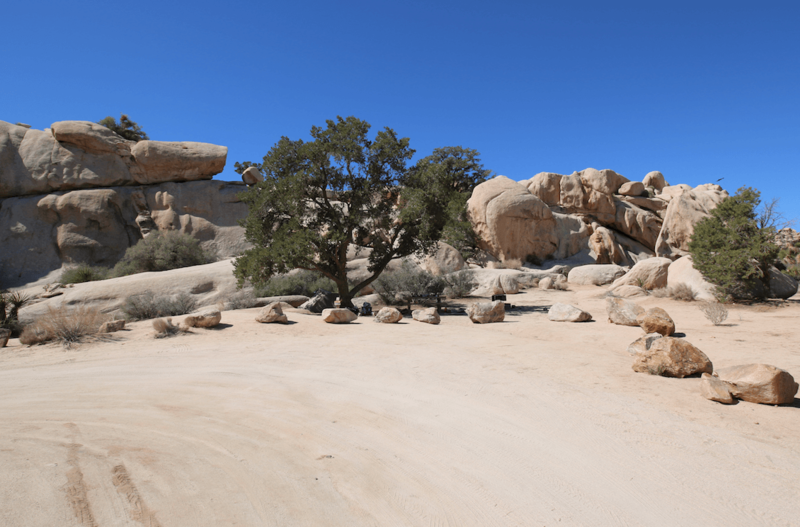 Joshua Tree National Park is famous for its many rock climbing routes, but also is high on the list for wildflower viewing, stargazing and photography. Other outdoor activities include backpacking, birding, motor touring, horseback riding, mountain biking, and wildlife viewing. 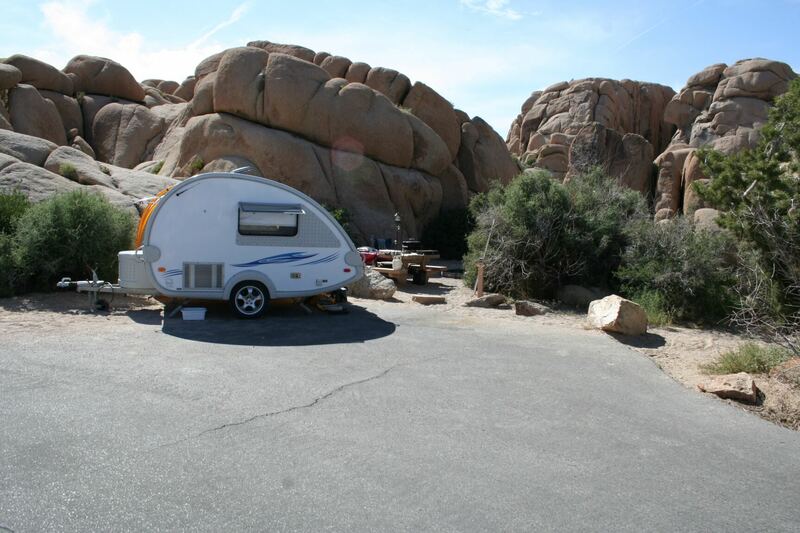 We hope you enjoyed our post on Joshua Tree National Park’s best campsites. 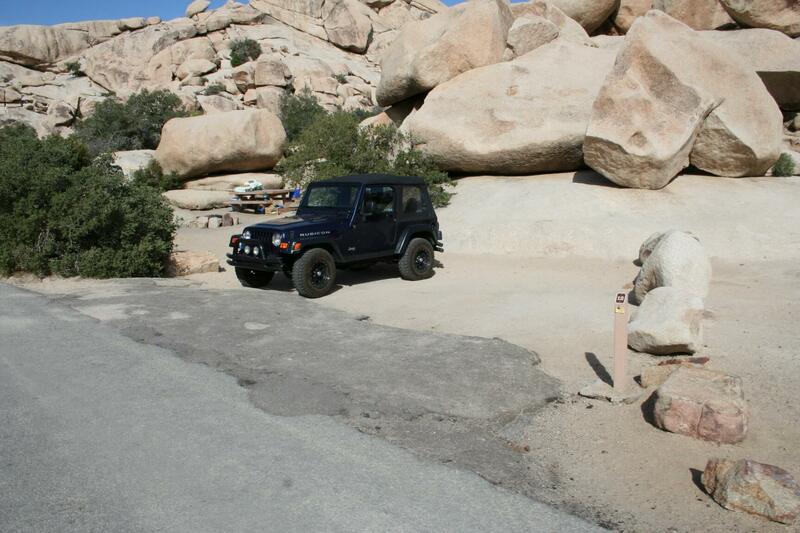 Please feel free to leave a comment and tell us about your favorite campsite or camping adventures in Joshua Tree. 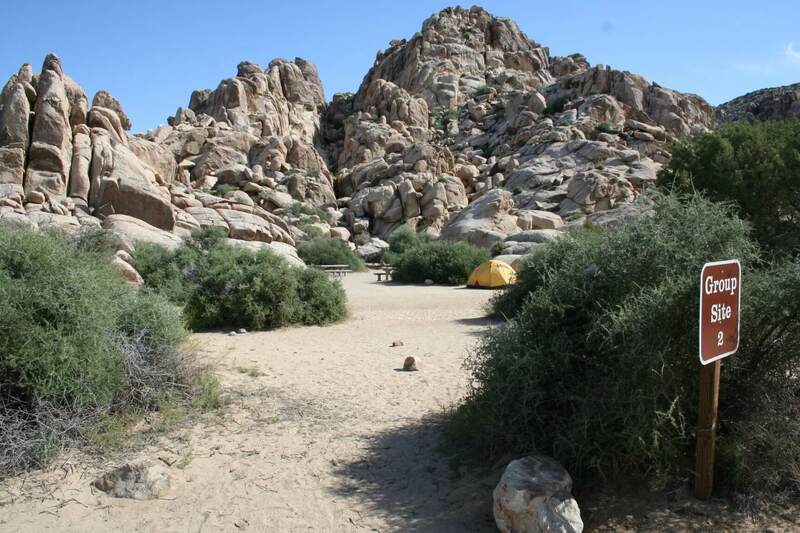 Joshua Tree National Park’s Best Campsites.